I love hosting giveaways to pay back for all of the support I receive from all of you. Every month I like to give away an item that has personally helped me on my low carb paleo journey. With the new year upon us I wanted to make sure the January giveaway was HUGE. 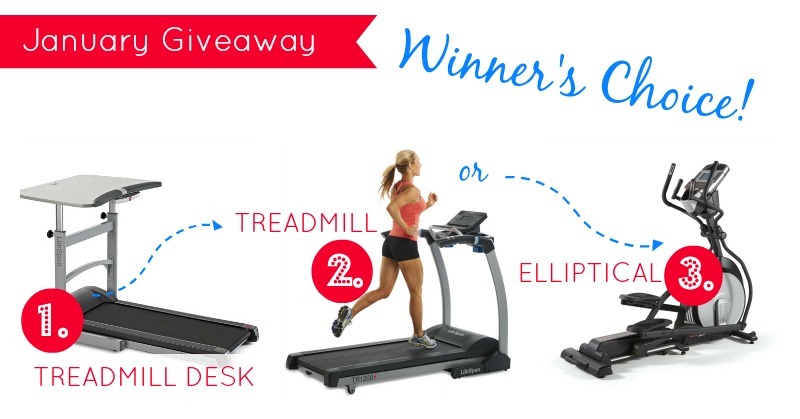 So this month a group of bloggers got together to offer a Winner’s Choice Giveaway. 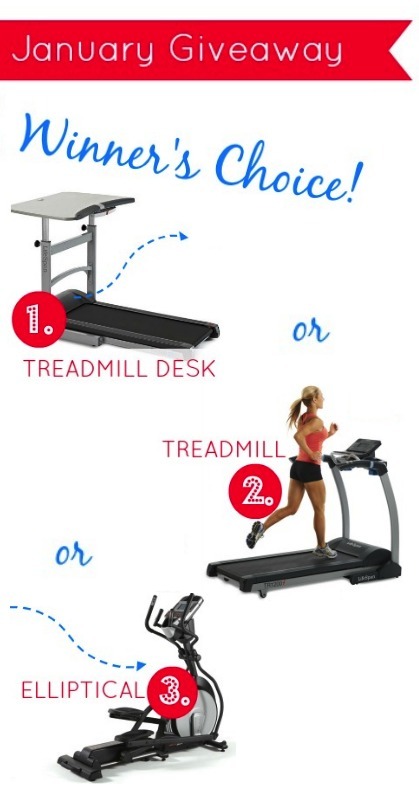 You get to chose between a Treadmill Desk, Folding Treadmill, OR an Elliptical Machine! 2. 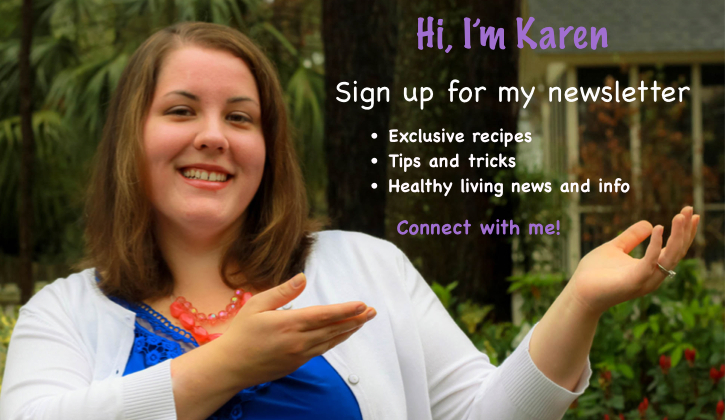 Subscribe to The Living Low Carb…One Day at a Time newsletter with recipes, news, announcements, and more! A winner will be chosen via random.org. We will announce the lucky winner on Friday January 31, 2014. The winner will have 48 hours to contact (lindsey at homemademommy dot net) with his/her full name, address, and phone number. There is no purchase necessary to win. This giveaway is open to everyone. If the chosen winner is outside of the United States an Amazon Gift Card of equal value will be given to the winner.